Snakeskin outsoles with Swarovski crystals can’t be beat! TAMPA, Florida – (September 4, 2018) – As the holidays approach, many people will begin making a list of what to buy the loved ones in their lives. For some people, it can be a daunting task, especially if they will be buying for someone they feel already has everything. Research out of the University of Toronto suggests that people may want to give the gift of experiences, because that can help foster stronger relationships. The good news is that there are some gifts that are both a tangible item the person can hold in their hand, as well as providing them with an awesome experience. The unique line of high heels by Exotics by Cedrick is one of those options, being deemed as a gift for the woman who has everything. Owned by Cedrick McDonald, Exotics by Cedrick, a celebrity fashion and footwear designer, is a Tampa-based high-fashion high heel shoe company. The company has a patent for its unique design, which features a snakeskin outsole that is encrusted with Swarovski crystals. Since the company was started in 2016, the trend-setting shoes have made their way into many celebrity hands. 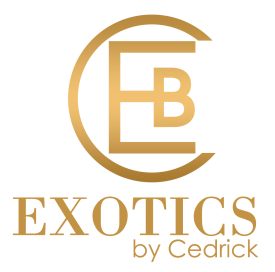 To learn more about Exotics by Cedrick, visit the site at: www.exoticsbycedrick.com.